Full Breakfast and Lunch Menu All Day • Open 7:00 a.m. til 2:30 p.m.
what your taste, we have something special for you. Daily Breakfast and Lunch Specials! 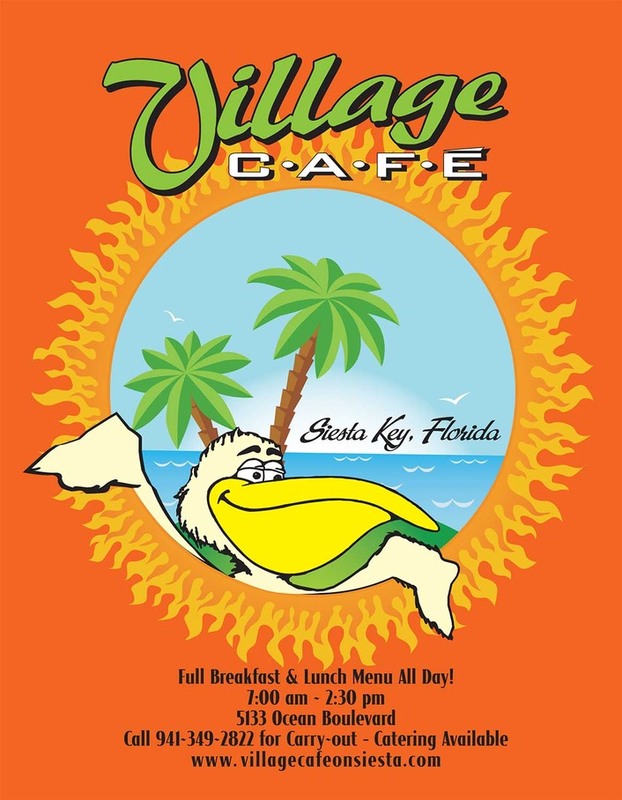 It might be considered Siesta Key’s premier claim to fame. 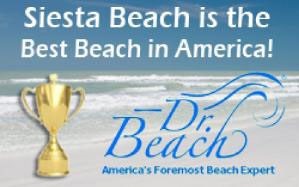 Siesta Key's Siesta Beach has accumulated numerous awards in recognition of its soft, clean, pure-white sand (see awards list below). Currently it is #1 among the top ten beaches of Florida, the U.S., and the world. Harvard University's geology department found the sand of Siesta Beach was 99% pure quartz. Unlike most beaches that are composed of crushed shells, rocks or lava, this sand is pure white and finer in texture than most refined sugar. The sand has been described as "dazzling" and it is stated that it never feels hot. Siesta Key's remarkable sand and the azure, warm water of its beaches are a great attraction for tourists and local beachgoers alike who come to experience the sand and the water. The Siesta Key Village has a wide variety of shops that carry merchandise ranging from gifts and T-shirts to the finest haute couture to ice cream. Catering By Village Cafe provides catering services for weddings, receptions, events, small dinner parties, funerals and corporate functions.